A Lionel Messi double inspired Barcelona to come back from two goals down and salvage a 2-2 draw with Valencia at the Nou Camp. It was the visitors who applied the early pressure and very almost went ahead after just three minutes, however Denis Cheryshev was denied from close range by the post. Barcelona responded well and began getting forward more frequently, but it was in fact Valencia who took the lead. ​Barcelona thought they should've had a free kick on the edge of the visitor's penalty area, however the referee wasn't interested and Valencia went on the counter attack. Rodrigo Moreno brought the ball forward and slid a pinpoint ball through the Barca defence into the path of Kevin Gameiro, who tucked the ball past Marc-Andre ter Stegen to give the visitors a shock lead. Things soon went from bad to worse for ​La Liga leaders as just seven minutes later Valencia were awarded a penalty which Dani Parejo duly slotted home to double his side's lead. Marcelino's men were in dreamland, however they were soon given some cause for concern as Barcelona won themselves a penalty just five minutes later. ​Lionel Messi actually had the ball in the back of the net, however the referee had already blown for the penalty which meant he had to try again from 12 yards out. With nerves of steel, Messi stepped up and sent Neto the wrong way to get one back for his side. Sergi Roberto then very nearly got his side back on level terms just minutes later, but was denied by the post. Barcelona started the second half very brightly as they went in search of an equaliser, and they got it just after the hour mark. 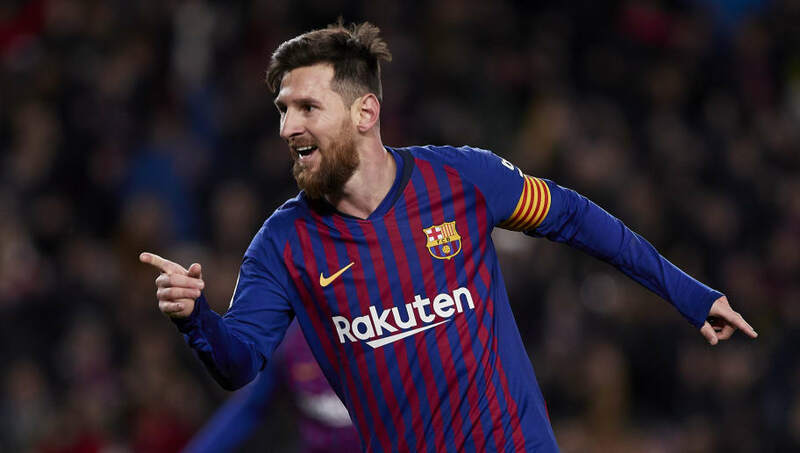 It seemed as though Messi had no options when he picked the ball up around 20 yards out from goal, but he managed to steer the ball through three Valencia defenders and into the bottom corner to make it 2-2. It was never going to be an easy game for Barcelona, however nobody expected what was to come. Going 2-0 down at home is not something Ernesto Valverde's men are used to, however they showed a real fighting spirit to come back an salvage a draw. Whilst they'll be disappointed with the fact they didn't win the game, they can at least be grateful they earned a point which keeps the pressure high on those below them in the La Liga table. It wasn't ideal preparation for Barca ahead of their clash with bitter rivals Real Madrid on Wednesday, and the fans will be hoping for a much improved performance as they may not be so luck to get a draw against Madrid with a performance like today's. Starting XI: ter Stegen (6); Semedo (7), Pique (6), Vermaelen (5), Roberto (6); Vidal (7), Rakitic (7), Alena (7); Messi (9), Coutinho (7), Suarez (6). Substitutes: Alba (6), Arthur (6), Malcom (N/A). STAR MAN - There's no debating who Barcelona's best player was. Not for the first time, Messi dug his side out of a deep hole having found themselves 2-0 down at home after just half an hour. Messi is too good at this football thing. Just when they needed their star man to step up, he did just that. He bagged himself two goals and was central to Barcelona's attacking play. WORST PLAYER - It was a disappointing day for Vermaelen who struggled to cope with Valencia's attacking threat all evening. Gameiro and Rodrigo caused him all sorts of problems in the first half, and even at points in the second half also. The Belgian will be thankful his teammates were able to dig him out of a hole on this occasion, however he'll need to put in much better performances if he is to get a regular place in Ernesto Valverde's starting 11. Starting XI: Neto (7); Piccini (7), Garay (6), Gabriel (7), Lato (5); Wass (7), Coquelin (6), Parejo (8), Cheryshev (7); Rodrigo (8), Gameiro (8). Substitutes: Torres (6), Kondogbia (6), Mina (6).